The Holocaust Memorial Society will continue to bring attention to a Holocaust perpetrator who did not meet justice for his crimes against the Jewish people in areas under the Hungarian occupation. Moreover, the rehabilitation of Miklos Horthy, Hungarian regent in World War II, is well underway in spite of the fact that he was the first European statesman to extend a hand to Hitler (in the name of “greater Hungary”). In his quest for ethnically pure greater Hungary, Horthy had to get rid of other ethnic communities in the areas under his occupation. His genocidal and Holocaust actions affected parts of modern Romania, Serbia, Slovakia, Croatia, Slovenia and Ukraine, within the territories Hungary gained from Hitler as award for for entering the Reich’s power block. Three-years occupation of Romanian Transylvania brought deportation of 150,000 Jews to Auschwitz, as well as 15,000 murdered and over 280,000 evicted Romanians. Three-and-a-half years occupation of Backa, a region in north Serbia, was marked by a steady extermination of Serbs, Backa’s ethnic majority, and local Jews who numbered about 16,000. In January 1942, Horthy’s troops tossed over 5,000 Serbs and Jews into frozen Danube in Novi Sad. The surrounding villages were also ethnically cleansed of the Jews and numerous Serbs. In March 1944, Horthy agreed with Hitler to place 100,000 to 300,000 Jews in Hungary proper at disposal for “war production” in Germany. In April of the same year, the remaining Jewish population in northern Serbia was deported to Nazi death camps. To this day, there has been no international document condemning Horthy for the acts of Genocide and Holocaust. The book “Genocide Revealed” (www.genociderevealed) is an indictment against both Horthy and indifference to his crimes that never met justice. As this Holocaust and Genocide perpetrator has never been internationally condemned, his current supporters in Europe have a legal ground to fully rehabilitate him. “Amidst the current flood of false authorities, mediocrities in the field of science and politically approved expounders of historical truths, as well as the activists who make living out of their activism, only one has stood out as being different. To the shame of Novi Sad, one sole activist stands out from the rest. By “different”, I mean a genuine one. It is tragic that being honest has become a synonym for being different in our society. In short several years, Aleksandar Veljic has succeeded to achieve what no historian has done in the last 75 years following the World War II. His dedicated, conscientious work is being done with modest technical opportunities, very limited finances at his disposal, and against incessant sabotages and distractions that come his way. Isn’t that something? This popular writer, historian and true activist reveals the truth about Razzia 1942 (a genocide of Hungarian occupiers) and proves Miklos Horthy (Hungarian regent and Hitler’s ally in World War II) to be a genocide perpetrator. He has brought to light all the details of Horthy’s gruesome crimes against civilians. At the same time, Veljic has been educating people on ecological issues as he stands against the GMO threat, Chemical spraying and other experiments on the population. He has gained the name, reputation and respect of honest and honorable individuals and has been crucified by those who share no such virtues (yet has maintained a dignified approach to the latter). The fruits of Veljic’s labor certainly deserved the highest municipal recognition at all times. His merits exceed the work of all the political protegees (who are usually awarded)… The main traits in Aleksandar Veljic’s character is honor – that by itself is a sufficient argument for this Committee’s positive response of this Committee to this nomination”. “On the venerable Day of the Sun let the magistrates and people residing in cities rest, and let all workshops be closed. In the country, however, persons engaged in agriculture may freely and lawfully continue their pursuits; because it often happens that another day is not so suitable for grain-sowing or for vine-planting; lest by neglecting the proper moment for such operations the bounty of heaven should be lost”. “ it appeared an unworthy thing that in the celebration of this most holy feast (Easter) we should follow the practice of the Jews, who have impiously defiled their hands with enormous sin, and are, therefore, deservedly afflicted with blindness of soul. … Let us then have nothing in common with the detestable Jewish crowd; for we have received from our Savior a different way”. 1 Milan Vukomanovic, Early Christianity – from Jesus to Christ, Novi Sad: Svetovi, 1996, 19. 2 William Steuart McBirnie, The Search for the Twelve apostles, Carol Stream, Illinois: Tyndale House Publishers Inc., 2004, 18-19. We find it urgent to appeal to our friends and sympathizers worldwide to press for an international condemnation of the Hungarian regent Miklosh Horthy, whose rehabilitation is being underway in his country. Several decades of silence about this man, as well as the fact that he evaded international justice after World War II, have pushed his crimes into the oblivion. Miklosh Horthy also orchestrated Genocide against Romanians in Transylvannia and Serbs in Backa. In three years of Horthy’s occupation of Transylvania, at least 15,000 Romanians were murdered in the most brutal fashion, over 280,000 Romanians were evicted and about 150,000 Jews were deported to Auschwitz. The most gruesome genocidal and Holocaust acts committed by Horthy’s army and gendarmerie occurred in January 1942 (so-called Razzia or Raid) against the Serbs and Jews in south Backa, the Serbian province occupied by Hungary from April 1941 to October 1944. In January 1942, the Jewish community of south Backa, around the Serbian city of Novi Sad, had been exterminated and tossed into frozen river Tisa. One fourth of Novi Sad Jewish community was tossed into icy Danube. In March 1944, Horthy agreed with Hitler to place 100,000 to 300,000 Hungarian Jews at disposal for “war production”. No international document has ever condemned Miklosh Horthy, a Holocaust and Genocide perpetrator. 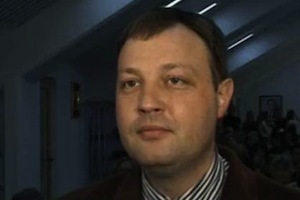 Therefore, he can legally be rehabilitated in Hungary at any point. 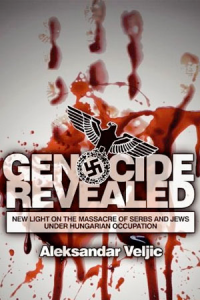 Horthy’s crimes have been documented in “Genocide Revealed” (www.genociderevealed.com). It is an indictment of a kind against one of Hitler’s closest allies. On November 24, 2015, the first ever lecture entitled “Genocide committed by Miklosh Horthy“ was held in Serbia, in the town of Kraljevo. The local museum cherishes the memory of the victims of October 1941 German Nazi Genocide against the local Serbian population. This was the first occassion that Kraljevo public was introduced to the crimes committed by Horthy’s regime in northern part of Serbia. The above mentioned lecture is a good opportunity to clarify the Genocide and Holocaust committed in Serbia by the Nazi occupiers and their collaborators as those facts are not all that known. On April 6, 1941, the Serbian capital Belgrade was bombed by the German forces without the announcement of war. In just a few days, Serbia was occupied and partitioned. Hitler was furious over the fact that on March 27, 1941, the demonstrators in Belgrade toppled the government which signed the pact with him. Fuming with rage, Hitler took revenge. Belgrade was to be destroyed first. Soon after the occupation of Serbia, the northern Serbian province of Srem was allotted to Vatican-created Independent State of Croatia which aspired to that territory. In the course of the Second World War, Croatian Nazis (called „Ustashi“) committed many crimes against the Serbs and exterminated the local Jewish population. The most horrific was the Croatian death camp Jasenovac, where the crimes were so horrendous that the words are not sufficient to describe them. The northern Serbian province of Bachka was alloted to the Hungarian regent Miklosh Horthy. In the course of his 3.5 years rule, Horthy exterminated half of the local population, primarily those of theSerbian and Jewish descent. The most gruesome act of Genocide and Holocaust sanctioned by the Hungarian government was carried out in the freezing January 1942, when thousands of innocent civilians were tossed under the ice of the freezing rivers Tisa and Danube! The main purpose of those horrible acts was to exterminate the Serbian and Jewish populations. The northern Serbian province of Banat was densely populated by the ethnic Germans. Almost 100 per cent of those ethnic Germans aligned with the Nazis. As soon as Serbia was occupied, the local Germans imposed the anti-Jewish regulations even stricter than those in Germany. Four months later, in August 1941, the entire Banat Jewish community was deported to Belgrade and later exterminated in the Nazi-run camp of Sajmiste (women and children) and Topovske supe (men). The southeastern part of Serbia proper was allotted to Bulgarian Nazi collaborators. They committed various acts of genocide against the Serbian population. In March 1943, all the Jews in Bulgarian occupation zone were deported to German Nazi death camps. The Serbian province of Kosovo was allotted to the ethnic Albanian collaborators. Besides numerous crimes against the local Serbian population, the Kosovo Albanians aided German Nazis in deporting the local Jewish population to death camps. The rest of Serbia proper was ruled by the occupation German Nazi forces. Due to Serbian resistance in October 1941, several reprisals took place. Those retributions have the proportions of a genocide since the Nazi occupation authorities murdered 50 civilians for one wounded Nazi soldier, and 100 for each murdered Nazi soldier. Kraljevo was the first victim of Nazi reprisals in mid October 1941, when the local resistance movement almost succeeded to liberate the town. Kraljevo has the strategic geographic location and the Nazis were willing to defend it at all cost and even to exterminate the local Serbian population to that end. Soon after the same reprisals occurred in the Serbian city of Kragujevac.